If you are one of the thousands who bought into the “lead mare, “alpha”, “dominant/submissive” theories touted by the “Natural” horsemanship folk, then you may not like what I’m about to tell you. In a recent issue of Equus magazine (September 2014) was an item on a research study that showed the “lead mare” to be a myth. Don’t believe me? Then read this ethology piece that points to other research and observations on this theory. The truth is, the idea was based entirely upon faulty observations of horses in domestic settings, and has no basis in natural horse societies. 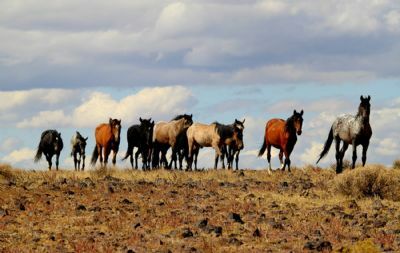 observers who have diligently documented horse societies in the wild find that any mare, at any time, can “lead” the herd. One of the mares will simply decide that she is thirsty, or that there is a richer patch of grass over the hill, and off she goes. Someone decides it’s a good idea, and one by one the others follow. The only consistent “lead” behavior observed is the herding behavior of the stallion – but if you’ve ever observed this in action, it’s probably not the kind of relationship you want to build with your horse. I recently read a piece by a “Natural” Horsemanship guru that said “all horses want a strong leader.” That’s right up there with “all children want boundaries.” I feel quite sure that if you asked most children, they would definitely not want boundaries of any kind – and I feel equally secure that your horse would feel the same about a “strong” leader. In fact, I believe that if horses could sing their favorite song would be “Why can’t we be friends?” Horse societies are built upon strong bonds of friendship and family, not hierarchies. That said, this does not mean that children don’t need boundaries, and horses don’t need leadership – but what kind of leadership? Vision – a leader that individuals want to follow has to have a vision for the future. 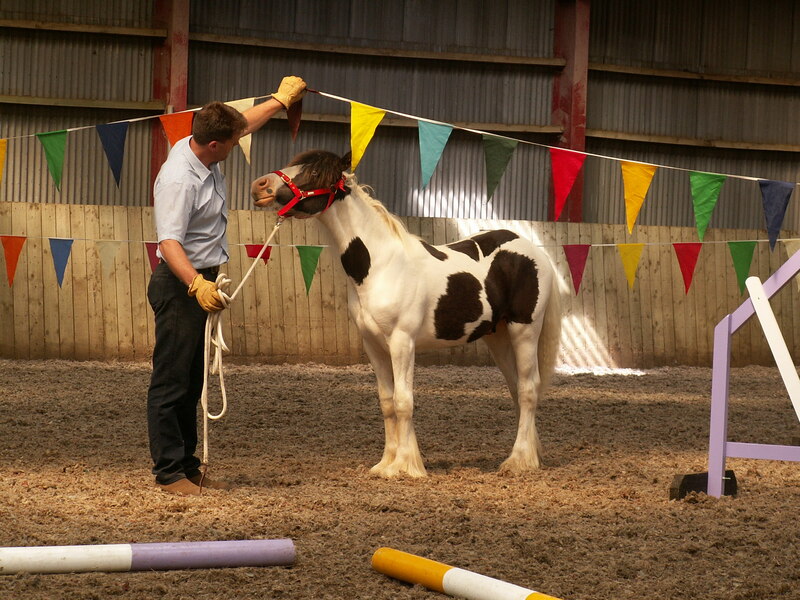 Of course, with people you can communicate that vision – something you cannot do with your horse. But this does not make it any less important – if anything it is even more important to have vision when being a horse’s leader. With a good group of employees you can develop your vision collectively, so the whole group knows the end goals. With a horse, you must know the vision before you start, for every action you take will lead you either toward or away from your end goal. You can revisit your goals or processes with staff, to see where you went wrong and regroup… but your horse will never actually forget a bad turn in the journey. “other” life that can have an affect on the work or the learning. Are they not feeling well? Are they having relationship problems? Is noise from the neighbors keeping them up all night? Any of these questions can apply to your horse as well. If performance is not up to usual standards, a good leader will try to find out a root cause and determine if there is anything they can do, or if the individual just needs some time off to get back to par. Listening – part of this goes along with empathy, since you cannot find out the root cause of a problem if you do not listen with an open mind. But listening also speaks to being willing to consider other ways of doing things. A good leader will listen when an employee complains, to see if there is anything that needs to be addressed. A good leader will also listen when an employee or student has a suggestion for trying something a different way. It may not always be successful, but it’s rarely a loss to at least try. 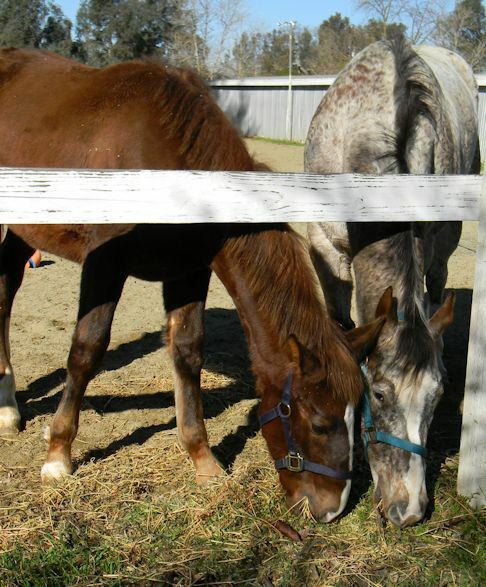 Your horse may not be able to give you suggestions (although I have had a few instances where it seemed they did), but they can certainly tell you when something is not working. The next time you are getting resistance, consider whether there is a different way to approach what you are trying to accomplish. … or the quiet guy who gives you a chance to work it out for yourself? knows everything about any subject, and no one can possibly see any problem from all angles. I am no fan of meetings, or consensus building – but the biggest successes have come from having the right team and listening to what they have to say. So too, my biggest successes with horses have come from listening to all that they tell me, and learning new things in the process. There is no formula, and there is no training plan that fits all (or even most) horses. 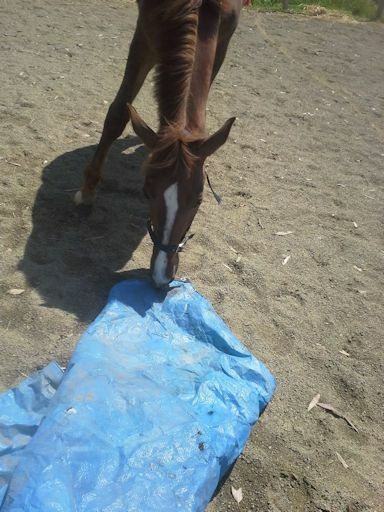 Each horse I have trained has taught me something new that I take to the next horse. I admit that is why I have my doubts about any trainer under 40 – they have not yet been around enough horses for long enough, without focusing mainly on competition. That is not to say that competition and learning are mutually exclusive, but if you are competing, you are more likely than not to be pushing through what your horse may be trying to tell you, and therefore missing some lessons of your own. Humility – there are charismatic leaders that are very successful; think Steve Jobs. But many of those leaders leave behind companies that struggle because they lead without setting the company or employees up to be successful in their absence. Charismatic leaders often buy into their own greatness to the point that they begin to feel that no one else is capable of filling their shoes – and many followers buy it as well. The reality is that no one gains any success on their own, and we all learn from others along the way. Your employees, students, and your horse all benefit from feeling that they are also capable of succeeding, independent of you. I see this in horses that jump – too many riders get hung up in thinking they have to tell their horses when to jump. The happiest jumping horses are those that have been given the skills, and the permission, to find their own spots for take off. These are the horses that will save your bacon one day! They say that the best leader is one who creates their own obsolescence – they have done so well with their employees or students that they can walk away and an outsider would never see a difference. And sometimes the best thing a leader can do is let them figure it out for themselves. I could go on – things like praise, fair correction when warranted, and making sure to challenge without over-challenging are all important parts of good leadership. I have spent a lot of time studying leadership, in an effort to ensure that I was doing the best that I could for my employees. It turned out that I’d already learned most of my leadership skills from my horses, and those skills served me very well with a highly successful team that remain my friends to this day. I do believe that your horse needs a leader – but it should be a leader they want to follow, not one who has asserted their dominance to gain control. So, stop chasing them around a round pen, making them fling their haunches around to “control their feet”, and spend more time in “meetings” where you quietly offer your vision and invite them to come along. I think you will be pleasantly surprised. Be good to your horse! This entry was posted in Horsemanship and tagged "lead" mare myth, "Natural" Horsemanship, alpha, dominant, empathy, Horse training, horsemanship, humility, leadership, learning, vision. Bookmark the permalink.